Beautiful 1 month old Audrey! Audrey’s mother contacted me when she was just about 1 month old. 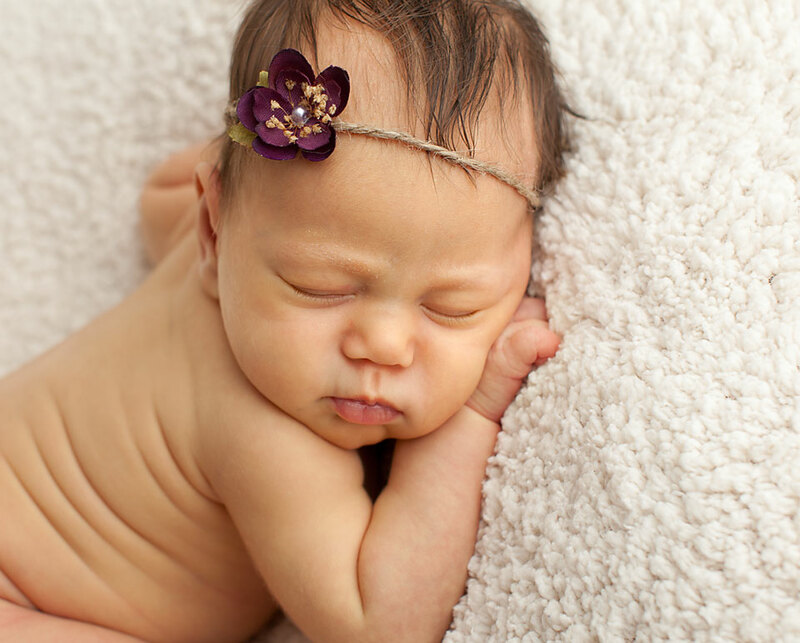 She did not realize that newborn portraits are usually booked while still pregnant, or that the best age for those curly, sleepy newborn poses is 6-10 days. I was disheartened to hear that she had been turned away by several photographers because her baby was “too old”. I could never turn away any family wanting beautiful photographs of their child for that reason! I explained that it was unlikely that Audrey would sleep well enough, or be able to curl up in the newborn poses, but I would still capture some beautiful moments- even if she was awake. Andrey was a bit fussy and unsettled for the first part of her session. I worked at her pace, and when she finally fell into a deep sleep (surprising us all) I was able to get some amazing shots- posing nearly as well as an under-two-week-old baby. Here are a few of the best photos from the session. Would you like to book a session, or get more information? Click here to send me an email!